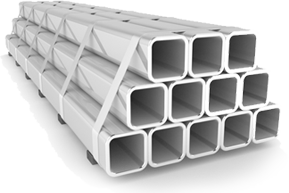 Stainless Steel Grades - Grades 304 & 316 SS Supplier Dallas, TX | Texas Alloys & Tool Co.
Texas Alloys offers various grades of stainless steel to include: 304/304L, 316/316L, Alloy 20, 303, 310, 416, 440, 630 and 17-4. Determining which stainless steel grade to use for your application can be difficult if you are not familiar with the different properties - Please feel free to view the chart below to see what the main properties of the different grades are. Still not sure? Not a problem, feel free to call us at 800.687.3544 and we'll be happy to answer all of your questions. Texas Alloys & Tool is the source for all your stainless steel and tubing supply essentials in the greater Fort Worth/Dallas area and throughout Texas. Applications include: gears, nuts & bolts, electrical components, aerospace industry, etc. Uses include: valves, pumps, gears, nuts & bolts, etc. Common applications include: furnace and oil burning parts, heat treatment and exchangers, etc.